Professor of Computer Science at Brooklyn College, author, entrepreneur and International Master of chess, Dr. Danny Kopec, died at age 62 years from pancreatic cancer on June 12, 2016. A chess prodigy and Master at 17, he earned his Bachelor’s from Dartmouth College and PhD from University of Edinburgh in Machine Intelligence. A prolific author, his chess products included eight books and nine feature length instructional videos. He was a proponent of the chess opening, The Kopec System, and co-creator of the influential Bratko-Kopec Test for measuring computer chess ability. He ran Kopec’s Chess Camp for over two decades. He co-authored textbooks in the area of artificial intelligence and over one hundred academic articles. Danny is survived by his wife Sylvia, son David, his sister Patinka, his stepson Oliver, nephews, and fondly remembered by thousands of former students and fans. In lieu of flowers, the family requests that donations be made to the Pancreatic Cancer Action Network (www.pancan.org). Now available for purchase on KopecChess.com. 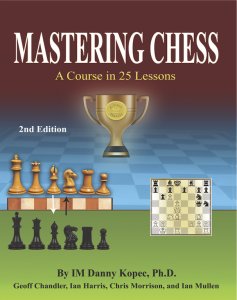 We would like to happily announce a new Kindle Edition and new printing of the book Mastering Chess: a course in 25 lessons by IM Dr. Danny Kopec with contributions from Geoff Chandler, Ian Harris, Chris Morrison, and Ian Mullen (304 pp). 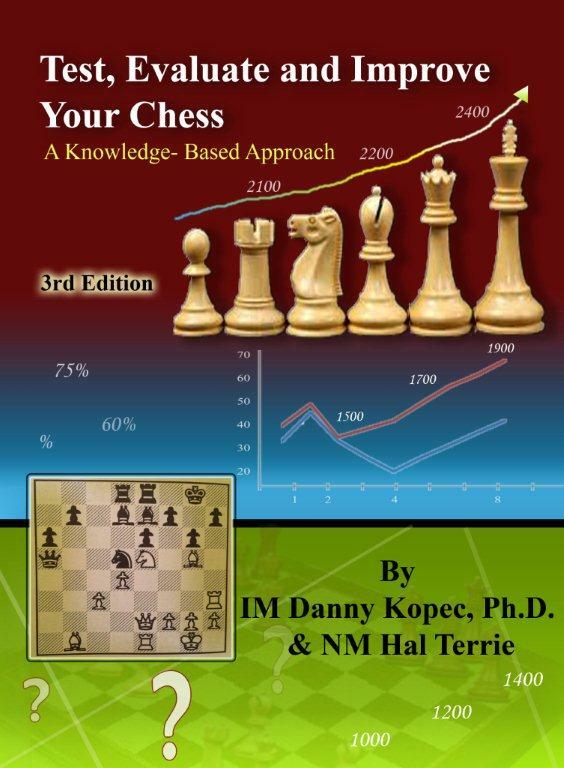 The book is considered a classic in the general works about chess and can be helpful to players of all levels up to Master. 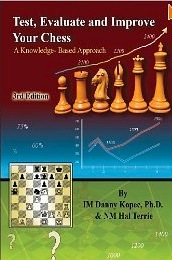 It includes Chapters on Tactics and Combinations (Chandler), Opening Principles and Ideas (Harris, with contributions from Kopec), How to Analyze a Position (Kopec), Basic Positional Structures (Morrison, with contributions from Kopec), and Essential Endings (Mullen, with contributions from Kopec). There are exercise positions at the end of each chapter, as well as an Appendix with examples from World Championship Play. 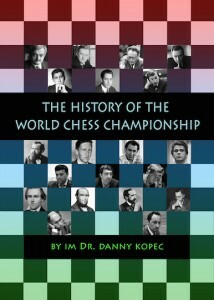 Dr. Kopec is near completing his long awaited video on the History of the Chess World Championship. It will cover the styles and exemplary games of every World Champion from Morphy to Carlsen and is likely to be three to four hours long. The games have been selected and the commentary on the players is complete. Boston Chess Congress by Continental Chess Association: IM Kopec will be lecturing and analyzing games at the Boston Chess Congress, January 9 – 11, at the Harbor Hyatt Hotel. Lectures will be Saturday, January 10th between 9:00 and 10:40, and Sunday January 11th, between 9:00 and 9:40. Analysis sessions will be at 3:00 pm on Saturday, and 1:30 pm on Sunday. There will be a prize for the “most interesting game” submitted. Kopec Chess Services will be the vendor at the Tournament15 plus products to sell (books, videos, CDs, etc.) 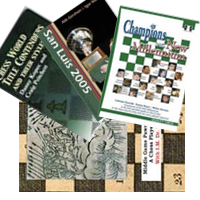 as well as a variety chess sets, books from New In Chess, etc. Kopec’s Chess Camps 2015: Look for a Children’s Day Camp on Long Island, and an adults only Camp in New England in the Summer of 2015. Details in coming months. In total it’s an $84 value, yours today for only $59.95.